‘Big data’ and mobile payments using NFC chips in smartphones are among the breaking technology set to deliver on their hype, while cloud computing is on “a path to disillusionment”, according to a study from Gartner. Released annually, the analyst’s ‘Hype Cycle’ report assesses more than 1900 technologies to provide industry watchers with forecasts of what to expect from upcoming technology trends. Gartner Research VP LeHong says cloud is not seeing the uptake that the industry expected, meaning its impact on the marketing world will not arrive for some time. 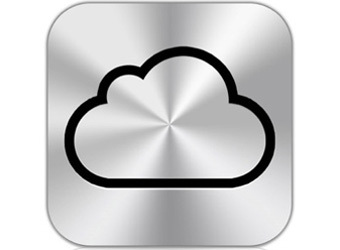 “I think cloud computing is moving slower than what everyone thought it would. Everybody has been talking about cloud for so long, but it’s not moving very quickly along the curve and is heading towards disillusionment,” LeHong says. NFC (near-field commmunication) chips, which enable mobile payments and wave-for-information functionality on products or points of sale, and big data are among a number of ‘tipping point’ technologies considered to be on the verge of tipping into the mainstream. HTML5, machine-to-machine and in-memory databases are expected to tip, but LeHong identifies mobile payments using NFC and big data as the two that are particularly interesting. “We put quite a big focus on payments first of all, which includes NFC technology. These are just coming off the peak of the Hype Curve,” LeHong adds. “This is one of the tipping point technologies that I would pay close attention to – it has the potential to impact customers quite broadly. There is a lot of noise about it at the moment, but it is heading towards a period of disillusionment. LeHong also touts the benefits of big data, but more specifically, complex event processing. “Another thing that’s quite interesting is the whole big data and analytics side. It is quite hyped up right now, but the promise is there. Companies are able to process information that they were not able to do before – unstructured information – but it’s also about the speed at which they can do this,” he says. “For example, take pricing. In the past if you wanted to maximise your margins as a retailer, or maximise your unit sales, you would run an optimisation and only really get to do it once, because of the time it took. Now you can run two or three scenarios in the same amount of time and can understand a number of different customers. It’s a subtle change but it really improves decision making. Other new technologies flagged include 3D scanners, silicon anode batteries, crowdsourcing and consumer telematics. Originally published on Marketing‘s sister site Macworld. Additional content from Marketing staff.